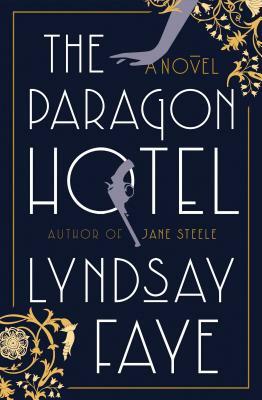 The new and exciting historical thriller by Lyndsay Faye, author of Edgar-nominated Jane Steele and Gods of Gotham, which follows Alice "Nobody" from Prohibition-era Harlem to Portland's the Paragon Hotel. The year is 1921, and "Nobody" Alice James is on a cross-country train, carrying a bullet wound and fleeing for her life following an illicit drug and liquor deal gone horribly wrong. Desperate to get as far away as possible from New York City and those who want her dead, she has her sights set on Oregon: a distant frontier that seems the end of the line. She befriends Max, a black Pullman porter who reminds her achingly of Harlem, who leads Alice to the Paragon Hotel upon arrival in Portland. Her unlikely sanctuary turns out to be the only all-black hotel in the city, and its lodgers seem unduly terrified of a white woman on the premises. But as she meets the churlish Dr. Pendleton, the stately Mavereen, and the unforgettable club chanteuse Blossom Fontaine, she begins to understand the reason for their dread. The Ku Klux Klan has arrived in Portland in fearful numbers--burning crosses, inciting violence, electing officials, and brutalizing blacks. And only Alice, along with her new "family" of Paragon residents, are willing to search for a missing mulatto child who has mysteriously vanished into the Oregon woods. Why was "Nobody" Alice James forced to escape Harlem? Why do the Paragon's denizens live in fear--and what other sins are they hiding? Where did the orphaned child who went missing from the hotel, Davy Lee, come from in the first place? And, perhaps most important, why does Blossom Fontaine seem to be at the very center of this tangled web? Lyndsay Faye is the author of five critically acclaimed books: Jane Steele, which was nominated for an Edgar for Best Novel; Dust and Shadow; The Gods of Gotham, also Edgar-nominated; Seven for a Secret; and The Fatal Flame. Faye, a true New Yorker in the sense she was born elsewhere, lives in New York City with her husband, Gabriel.